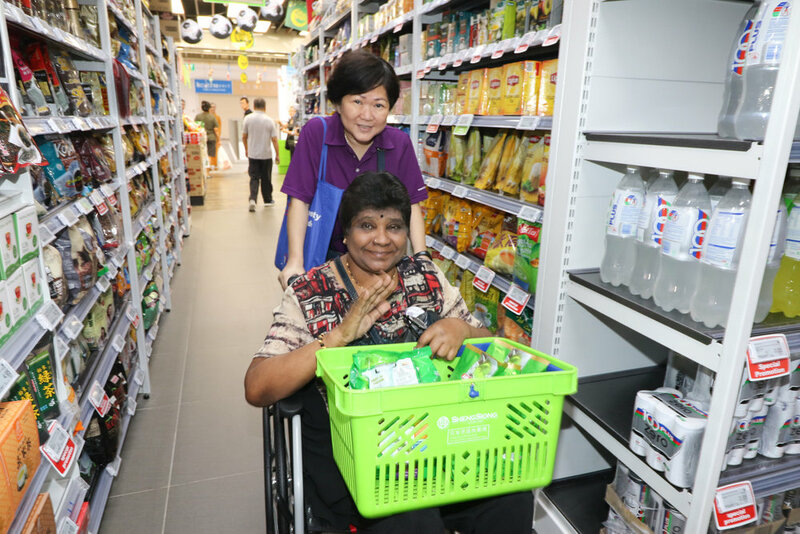 About 2 months ago, when we received a wheelchair refitted bus from ComfortDelGro (CDG), CDG had also kindly sponsored about 14 needy elderly with SGD 100 cash voucher for them to shop at Sheng Siong. (Sheng Siong was the only supermarket at our Canberra centre premise currently, so was a convenient location for the elderly to shop). 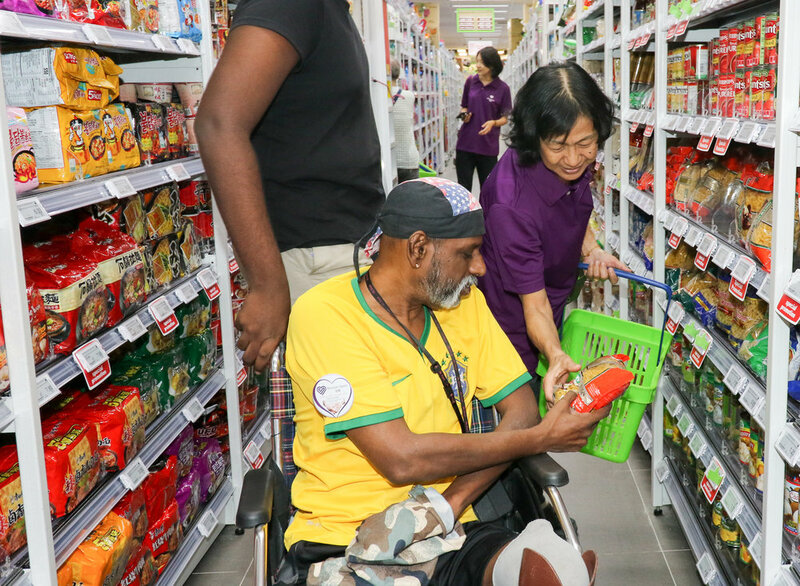 All the elderly were happy with their grocery shopping, but at the same time, we also interviewed some of them and asked if they would share some of their items with others or keep it all for themselves. We also wonder what were their feelings towards the volunteers who pick them up early and brought them to the event. Would they view the volunteer as a new friend? Or are they just another stranger as they are so focused and caught up with their own situation. Would they be able to develop the sense that now I have received, perhaps I could also share or give 1 sachet of milo to my neighbours or friends. Or perhaps in time to come, also return the help by volunteering at the senior centre to make milo drinks? Are some of them able to at least for a few moments divert their attention from negativity into something positive? We do not have the full answers as each individual comes with a different story, but what we are sure of is that at Blossom Seeds, we do want to create the environment to support seniors to enable them to care for others when they are able to, no matter how small the act or effort is.